Used in 1210 recipes at an average of 1.547%. 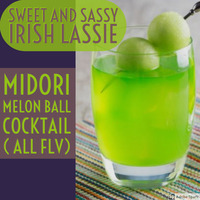 My buddy asked me to make him a melon ball recipe. Wild Melon is still the star of the show. This is pretty straight forward but I will say this; I tried a couple other melons before deciding on the VT Shisha Melon. It's at a ow enough percentage that I'm not getting any creamy notes but a nice full mouthfeel and nice Cantaloupe flavor. Straight forward juicy melon here, folks. 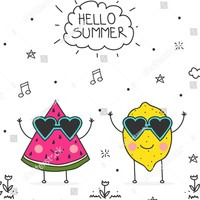 Are you all ready for the ultimate W M D (watermelon of mass destruction)?!?!?! 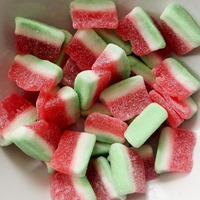 Modelled from those delicious,mouth watering candied watermelon sweets that have a slight sour sugar coating around them. I know the percentages are low but trust me, you don’t wanna sleep on this one !!! It's Gin, it's lemon lime soda, it's melon balls.... Adjusted the recipe slightly since it's steeped. The gin seemed to fall back just a bit more than I wanted it too after it steeped so I added just a tad more, and the citrus soda also fell back a bit more than I wanted so I added a touch more of that. Lowered the sweetener a tad too as that popped out more than I wanted after it steeped. Everything else in the recipe has stayed the same. I just ignored the cucumber element in this picture as to me it is just decoration and probably didn't add anything to the actual drink. lol Overall without the sweetener (a version I made for myself) I enjoy this quite a bit as a gin drinker myself. The alcohol notes are pretty subtle which in a soda drenched drink it wouldn't be slap you in the face alcoholic anyway. I'm sure VTA Botanical Gin or FA Gin could also be added into this if you want a little more of an alcohol note, but personally I didn't want that. While you could sub the FLV gin for FA gin, it will be a little less aromatic in terms of gin, and a little more alcoholic, and I'd probably turn up the percentage a tad with FA gin. VTA Botanical could also be subbed but I'd probably turn the percentage down a bit from the FLV amount as it's a tad more aromatic. FLV is just somewhere in between. You can mix without sweetener and get a good result, but for more of an authentic soda type feel to it sweetener works better. I picked PUR over the other sweeteners because it is strong and not drying, so it doesn't take away from the wetness of the drink. 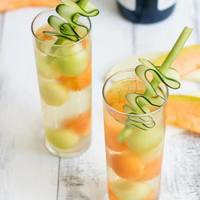 Pretty simple and tasty melon and cucumber mix. I added the dragon fruit for some sweet tartness. The cucumber provides a juicy and refreshing element to the delicious, delicious flv wild melon. This is a simple, stupid cucumber mix intended to meet or beat the cucumber mix used by the epidemiological pod device that shall not be named. 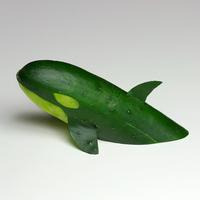 WS-23 gives it a bit of coolness to boost that fresh sense you get from biting into a good 'ole back yard cucumber. Anyways.. Pretty fun little mix for pod devices if that's your thing.. 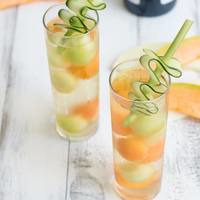 This is a great, flavorful, refreshing, melon mix. I almost get an Orange Watermelon flavor from it, similar to INW Melon but a little better IMO. 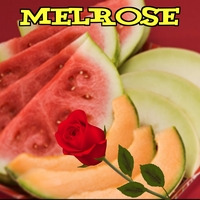 If I had to try to pick which melons I'm tasting I would say Watermelon, Honeydew, Cantaloupe. I'm not sure what exactly they were going for with this one but it came out really darn tasty.